Christa McAuliffe and six other crew members were killed in the Challenger explosion on Jan. 28, 1986. 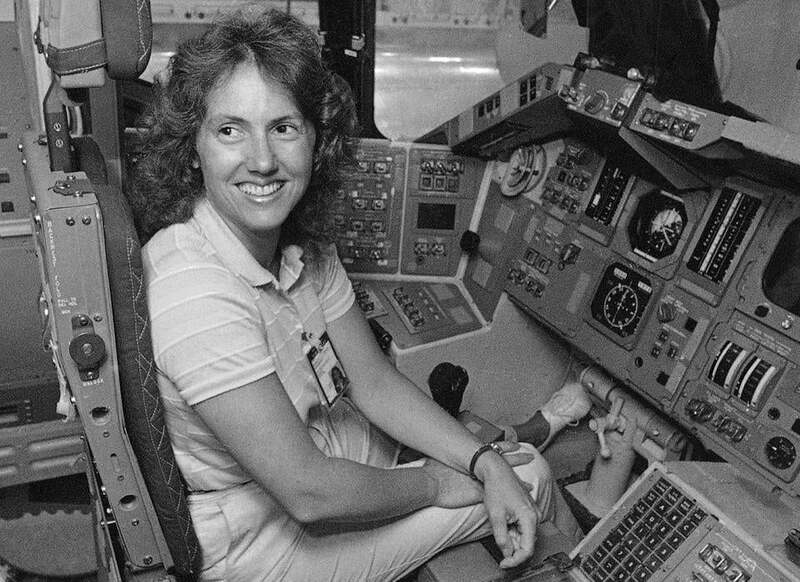 More than three decades after New Hampshire teacher Christa McAuliffe was killed in the Challenger explosion, the lessons she had planned to give during the mission will be made available to the public, thanks to a partnership between NASA and a nonprofit. In a statement Friday, the Challenger Center, a group created by the victims’ families to promote science, technology, engineering, and mathematics education, said it will collaborate with NASA to film the lessons over the next several months on board the International Space Station with astronauts Joe Acaba and Ricky Arnold. Lesson topics will include effervescence, chromatography, liquids in zero-g, and Newton’s law, the statement said. The lessons will be released in the spring on the center’s website, www.challenger.org. McAuliffe and six other crew members were killed in the blast on Jan. 28, 1986, less than 80 seconds after the Challenger lifted off from its launchpad at Cape Canaveral, Fla.
Several lessons will be completed as McAuliffe, a Framingham State graduate who taught at Concord High School in New Hampshire, had originally intended, while others will be retooled with materials available on board the space station, the group said. His words were echoed by Mike Kincaid, associate administrator of NASA’s Office of Education. Earlier Friday, the initiative was formally unveiled at Framingham State University during an event hosted by the Challenger Center and the university’s McAuliffe Center. Acaba said during the event that he was thrilled to be teaching some of McAuliffe’s lessons. “I can think of no better place to make this announcement than at Christa’s alma mater, Framingham State,” Acaba said, according to the university’s Twitter feed. McAuliffe made national headlines in 1985 when she was chosen from a field of thousands of applicants to be the first teacher and private citizen in space, according to the center and Globe archives. Travis Andersen can be reached at travis. andersen@globe.com. Follow him on Twitter @TAGlobe.